There’s a lot you might not know about France’s national dog. 1. They’re actually from Germany. 2. They were historically great at their jobs. 3. The fancy ‘do has a purpose. Since these dogs were jumping into freezing cold water, they needed protection. Too much wet fur would weigh them down, so hunters would strategically shear their hair. The pattern was meant to protect vital areas from cold waters. 4. Poodles come in three varieties. The poodle is the only dog that comes in three sizes: standard, miniature, and toy. These terms only describe the dogs’ size, and the American Kennel Club considers them all the same breed. 5. The Iditarod Dog Sled Race once had a standard poodle team. In 1988, a musher named John Suter entered the race with an all-poodle sled team. They didn't do so well: Thanks to matted fur and cold paws, many of the dogs had to be dropped off at checkpoints. This struggle led to a new rule that dictated only northern breeds like Siberian huskies and Alaskan malamutes are allowed to race. This measure ensures the safety of breeds that aren’t cut out for the extreme cold. 6. Poodle fur never stops growing. Unlike dogs that shed, the poodle will grow fur continuously. As a result, they need regular grooming. If left ungroomed, their fur will become matted and dreadlock-like. On the upside, they’re hypoallergenic and generally odorless. 7. This special fur has led to some crossbreeds. 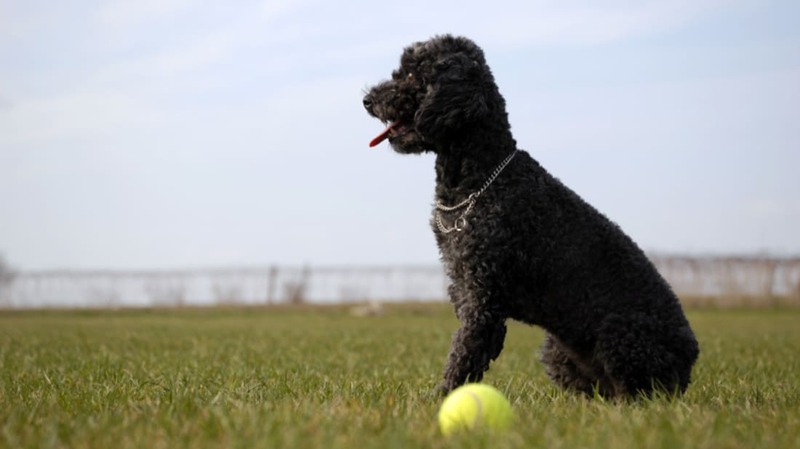 The poodle has been bred with other popular dogs like Labrador retrievers, cocker spaniels, and wheaten terriers to make more hypoallergenic breeds. The King loved dogs and had quite a collection at Graceland. When he was stationed in Germany, he had a poodle named Champagne. He also gave away many poodles to the women he loved: A toy poodle named "Little Bit" went to a girlfriend, and he gave a poodle named "Honey" to his wife Priscilla. Poodles are one of the smartest breeds, second only to the border collie in rankings of canine intelligence. Their smarts make them extremely easy to train and a favorite of circuses. In the 1800s, they were often dressed in miniature human clothing and trained to act out elaborate scenes. 10. One toy poodle knows how to work an elevator. Nala the teacup poodle was never trained to operate an elevator, but she somehow figured it out and uses it to visit the residents at a local nursing home where her owner works. The small dog can navigate the hallways all by herself and bring comfort to those around her. "She'd rather ride it alone than with people, because she knows where she's going," her owner said. "If she could, she would push the button herself."